Scott's French Command.. incredible work..
Well well, here we go again. Last time we checked in on my French it was to paint them to be used in Kings of War, a Mantic game of ranked infantry in a fantasy setting. We had an event at this year's local Con, and whilst my french did badly (Who knew a goblin Warlord was better at shooting than a whole unit of Fusilliers?) it was nice to see familiar faces from the old local Warhammer scene. 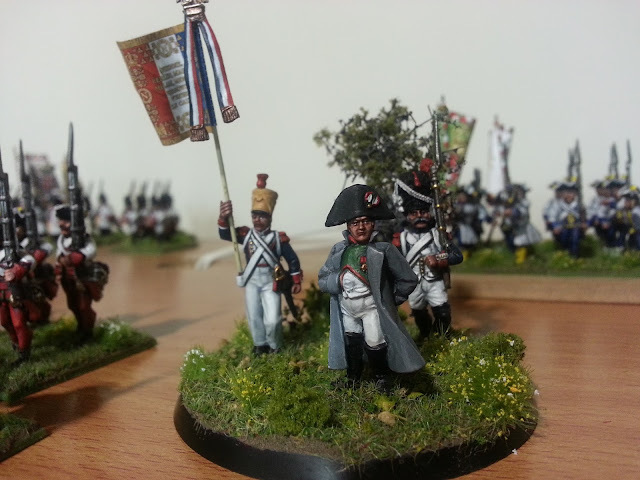 But I had based my guys singly on 20mm bases in case Mark and I ever got around to playing Colonials. Instead, we met up with Scott and Rob, and played the excellent Black Powder ruleset in 28mm. 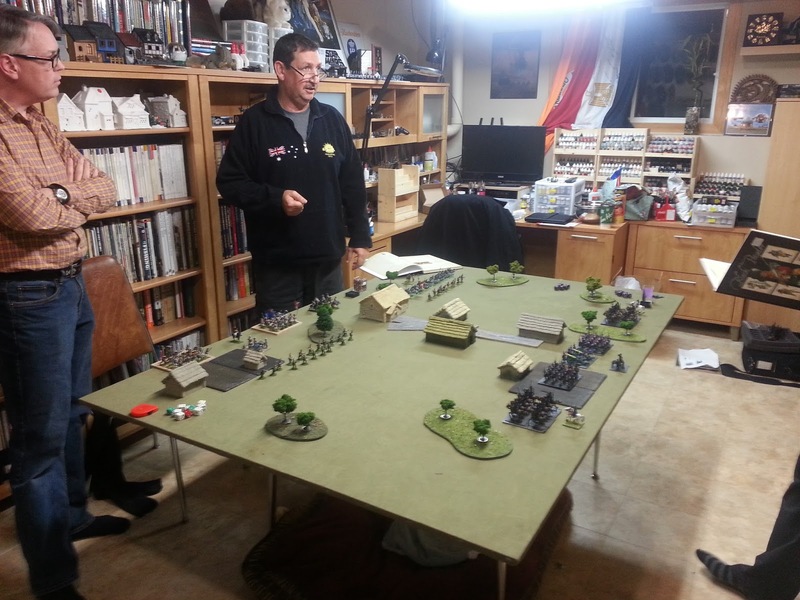 Scott had chatted me up at the Late War Flames tourney about dusting off the old 28mm models for a test game in his war-room basement..
"So an Aussie, a Frenchman and 2 Canadians walk into a bar.."